I do hereby certify that Luke B. Fairbanks a Corporal Co. "F" 3rd Regt. Vermont Vol. Infty. was present with his company at the battle of Lees' Mills Va. April 16th AD 1862 and was then and there while in the line of his duty as a soldier in action with the enemy wounded in the left forearm by a musket ball hitting his arm near the wrist and passing between the bones of the arm and coming out near the elbow"
formerly Maj. 3rd Vt. Vols. "This Pensioner is suffering from effects of Gun Shot wound of left arm. Ball entered about half-way down between hand and elbow joint on front of the arm; part of the Ball came out at the elbow, and the other part was cut out on inside of the arm; passed between the two bones, fracturing the ulna, so as several small p[ie]ces supp[u]rated out. there are adhesions of the muscles and tendons to the bones, stiffness of the arm, and want of free action of the joint." Comrade Luke B. Fairbanks, aged 69 years, died Wednesday night, October 23rd, 1907, about midnight at St. Olav hospital, where he had an operation the same evening conducted by Dr. McClaren a specialist from St. Paul. The news of his death came as a great sorrow to this whole community. He was born in Royalton, Vermont, March 26, 1838. At the age of 17 he came west with his older brother Alonzo and located near Otranto, Iowa. He remained in Mitchell and Howard counties three years. About 1858 they came to Austin and Luke assisted his brother here in his saw mill and later his flour mill. In 1860 Luke bought a farm in Windom township and spent the summer there. In the fall of 1860 he returned to Vermont and enlisted in Company F, 3rd Vermont Volunteer Infantry, together with his brother, Judge John Fairbanks, on the 10th day of May, 1861, to serve three years or during the war and was discharged from the service on December 27, 1863 at Brandy Station, Va. 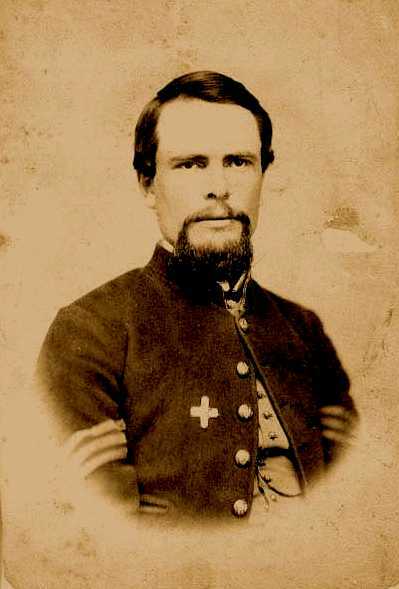 He immediately re-enlisted as veteran volunteer and was promoted from the ranks to the rank of Corporal and shortly afterward was promoted to Sergeant in his own company, July 1, 1862. He was commissioned 1st. Lieut. of Co. H. 3rd Vermont volunteers on June 27, 1864. He was commissioned Captain of Company C., 3rd. Regt. Vt. Vols. August 31, 1864. He was honorably discharged from the service of the United States on the 24th day of August, 1865 at Camp in Field, having participated in nearly all the battles in which his regiment took part except when wounded and on detailed duty on account of his wound. He was severely wounded in the left arm at Lee's Mills and sent to the hospital with his captain [Samuel F. Pingree], his lieutenant and his brother, and sent to Fortress Monroe where he received a furlough and came home. He returned to the company and reported for duty at the earliest possible moment, reaching his company and his brother just before the march from the Peninsula. 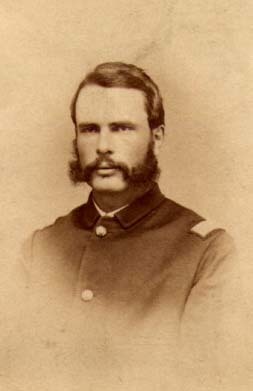 He and his brother went with the regiment back to Alexandria where he was detailed on the recruiting service for a short time, on account of his wound, and remained in Vermont until the 15th of April, 1863. [While] the brothers were in front of Vicksburg [Fredericksburg], John was wounded on May 3rd, 1863 and Capt. L. B. Fairbanks carried him from the field. Among the battles in which Capt. Fairbanks participated were the second battle of Fredericksburg, Wilderness, Petersburg, Cold Harbor, Spotsylvania, Winchester, Gettysburg and Cedar Creek. After the war Mr. Fairbanks returned to Vermont and bought a farm. In 1869 he emigrated to Kansas and took a homestead near Ballard's Falls. 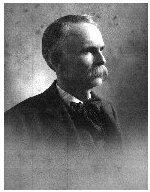 He lived there until 1872 when he came to Mower county and bought a farm near Saint's Rest where he lived until March 1893. He then spent two years in California and came to Austin to live in 1895. He was married at Brandon, Vermont, on December 25, 1863 , to Caro F. Bowen. Five boys and two girls came to bless the union: Samuel Pingree, living at Washington, Kansas; Henry Durant of Austin; Eugene Bowen of Dresden, N.D.; Guy Luke, Dan Richard, Lelia Case, and Florence Caro all of Austin. He was one of six brothers: the others being Alonzo of Blooming Prairie, Henry and Alfred D. buried in Oakwood cemetery, John of this city and Charles of Boston. His sister, Mrs. Adelaide D. Denison also lives in this city. Mr. Fairbanks was for many years a member of the Congregational church. When he lived at Saint's Rest he was deacon of the church in Rose Creek. Of quiet and modest disposition, he was a most genial friend and was faithful in all the relations of life. He was respected and trusted by all who knew him. He was a member of McIntyre post, G. A. R. and also of the A. O. U. W. Funeral services were held at the Congregational church, Monday afternoon. Rev. F. E. Knopf assisted by Rev. J. S. Budlong officiating. The church was filled with friends, including the A. O. U. W. and the G. A. R. Interment in Oakwood. See also, an additional biographical sketch and photograph of Luke and his wife Caro.